Another great track from 'Home'. Another fantastic vocal from Emeli makes this am enjoyable track. Pretty good and will most likely grow with more listens. However with the exception of Hell Could Freeze it pales in comparison to the other Rudimental songs I've heard. Cool way to finish off the album. 4.25*. Nice track with good meaningful lyrics. I like it. Een winning team noemt men zoiets dan. ▒ Persoonlijk vind ik de rustige "Kasiorama Freiheit Remix" uitvoering van "Free" ontzettend lekker !!! Volle bak ☺!!! Niet verkeerd, maar ik moet er nog wat aan wennen volgens mij. Dem kann ich so nicht beipflichten. Gerade die zurückgenommene, vermeintlich unspektakuläre Präsentationsform von Emeli Sande gibt der Nummer für mich die entscheidende Würze, die mir zuletzt bei "Lifted" ein wenig abging. Sehr schön dezent ohne irgendein Haudrauf-Moment, das imponiert mir - und gibt letztlich den Ausschlag zur knappen 5. Rudimental = 10/10 - Emeli Sandé = 10/10 dus dit is het perfecte duo om een dikke hit te scoren !!! Probably one of my favourite songs of all time. This is pure bliss. This is excellent. The best they've ever done since their debut, Feel The Love. The video is good. Track itself is decent. Obviously nothing without Emeli's powerful vocals, she gives the song just what it needed to become a hit; and it worked. Pretty average. Sande annoys me in this one. Solid, I like this more than I thought I would. Gute Collabo. Ich mag die Stimme von Emeli Sandé. Auch nicht schlecht: Emeli hängt sich als Featuring derzeit ran wo`s nur geht. Aber von Miss Sandé erwarte ich noch viel bei der stimmlichen Qualität u. ihrem Talent.<br><br>Vorab haben wir sie hier, wie sie "Free" das gewisse Etwas aufdrückt, wie schon zuvor beim Naughty Boy-Track "Lifted". Brilliant track that is a sensational closer to Home. Their best since Feel the Love, which is a completely different style to this. Emeli's vocals provide a nice touch. 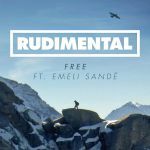 Great production from Rudimental and awesome vocals from Emeli Sandé. There's just so much emotion. 5 points pour le Zwette Edit. The prospect of this collaboration is kind of perfect. Rudimental have in the past have had some loud productions a la "Feel The Love" and "Right Here" which work so well to bring out the energy in drum and bass, but this is sublime in another way. The production is breezy and peaceful and Emeli's vocals shine against them. Since they have had some amazing productions in the past I can't say it's my favourite from Rudimental, but all in all, I love it and it's one of my favourites from 2013. Great to see it become a huge hit here. Kaum der Rede wert und einmal mehr total überbewertet. Ja, überbewertet.<br>Sehr seltsam klingendes Lied. Ihre Stimme ist schön, keine Frage. Der Song, der Sound sind mir zu sperrig.